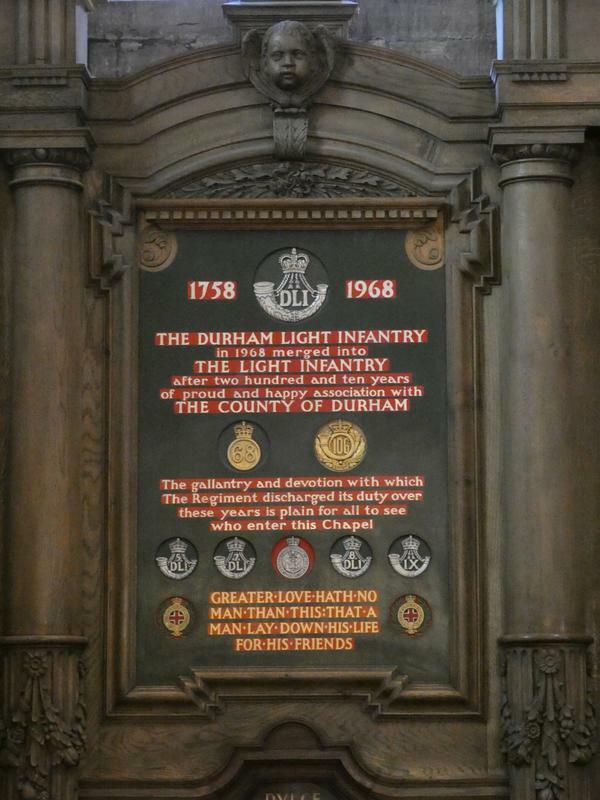 Regimental chapel with large wooden screen featuring a central panel with Durham Light Infantry Regular, Territorial and Militia Battalion Badges and the regimental history. 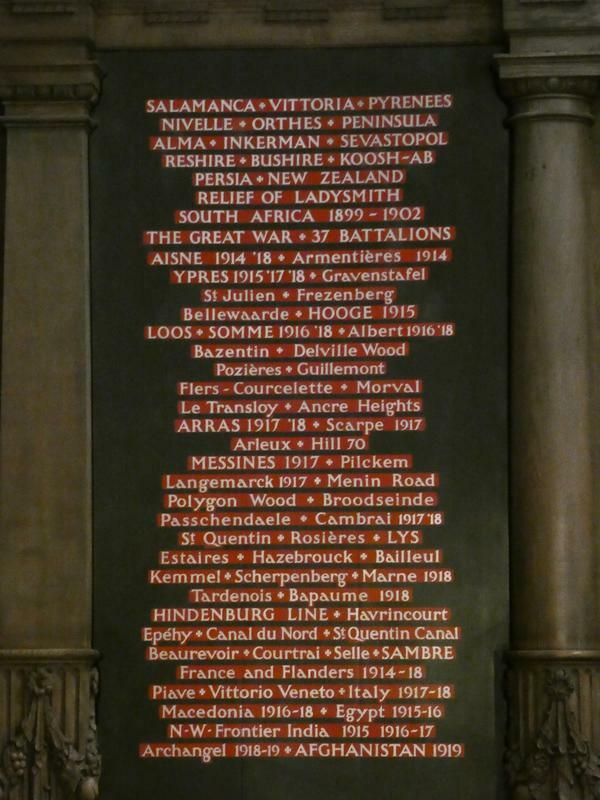 At either side are panels with the battle honours of the regiment. 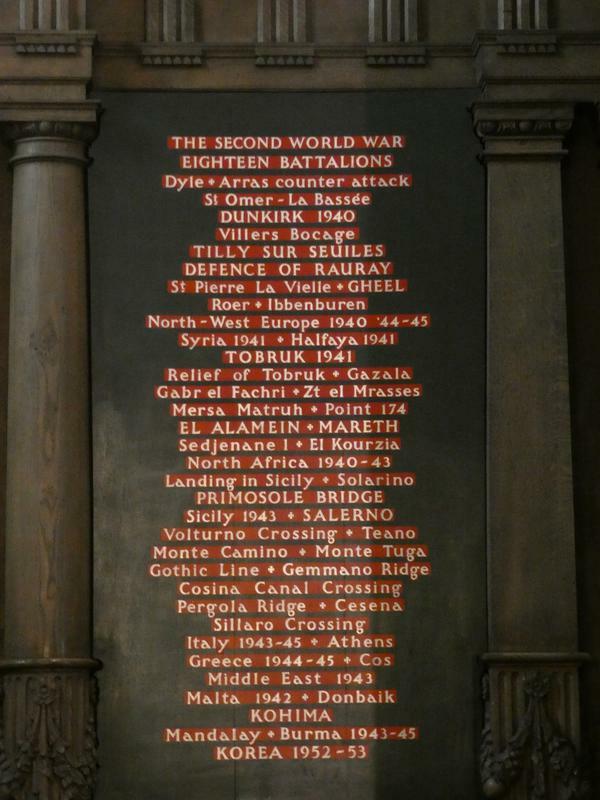 Contained on panel are 2 plaques with history of regiment and regimental badges The Chapel also commemorates those members of the regiment who served in the Second World War. 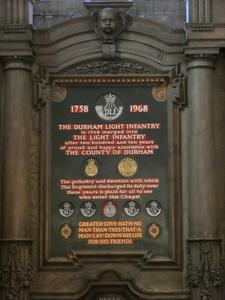 1968: Following the merge of the Durham Light Infantry with the Somerset and Cornwall, Shropshire and Yorkshire Light Infantries, it was decided that the central panel in the memorial screen be replaced with an inscription commemorating the 210 years of the Durham Light Infantry. 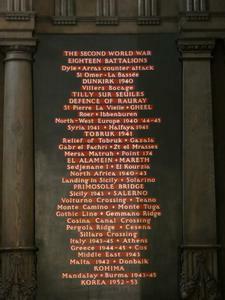 Designed by Pilkington Jackson. 1923: Originally the screen was unveiled with a dedication to members of the Durham light Infantry who had laid down their lives in the Great War 1914-1919. 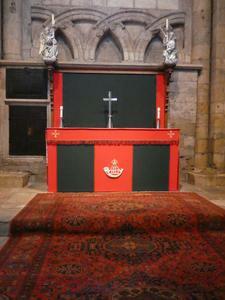 This was designed by W D Caroe. 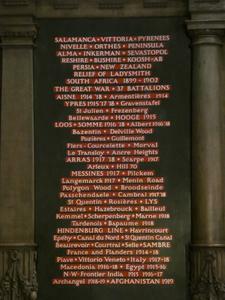 Below the dedication was the regimental badge, flanked by the Arms of the See and of the Cathedral. 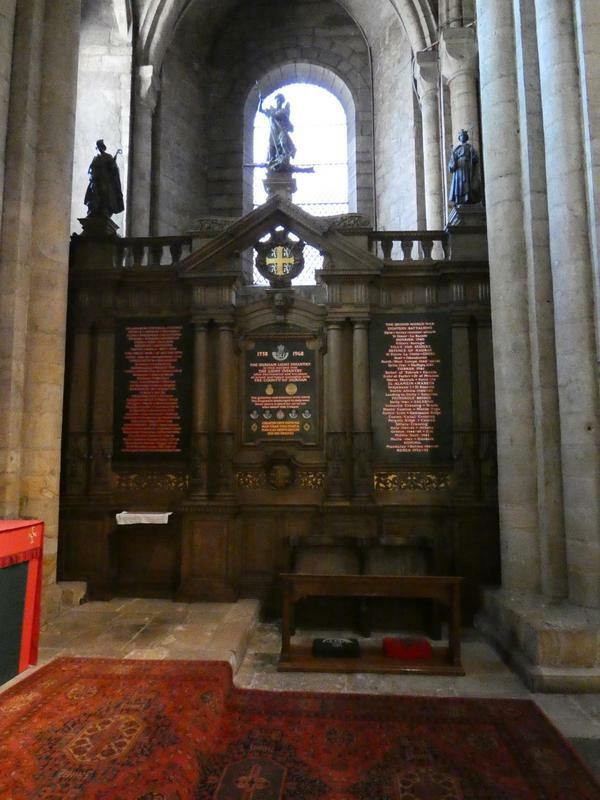 Above the screen were the figures of St George and the Dragon, flanked by St Cuthbert and St Oswald. 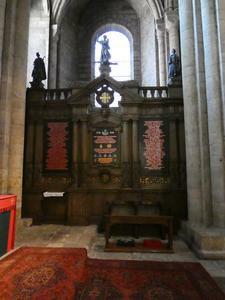 The woodwork is in the tradition of the 17th Century work of Bishop Cosin in the Cathedral.